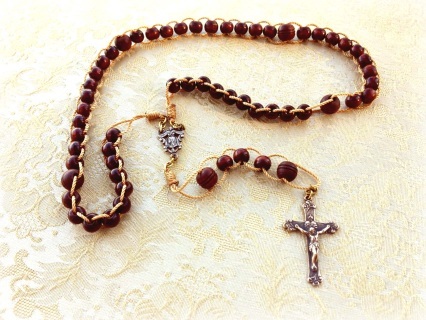 The Rosaries shown below are now only available by custom order and must be requested by email prior to purchasing to ensure availability. All orders take 3 weeks to fill. Introducing my new Black Horn Slide Rosary, made from strong heavy-gauge nylon cord, that holds the beads in place but allows them to move freely when pushed along by the thumb or finger. 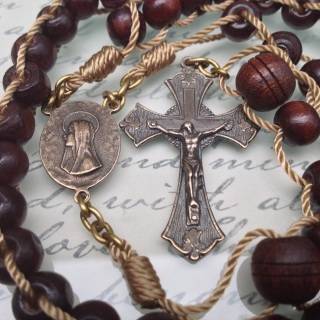 The Crucifix and Center Piece are solid bronze antique reproductions. 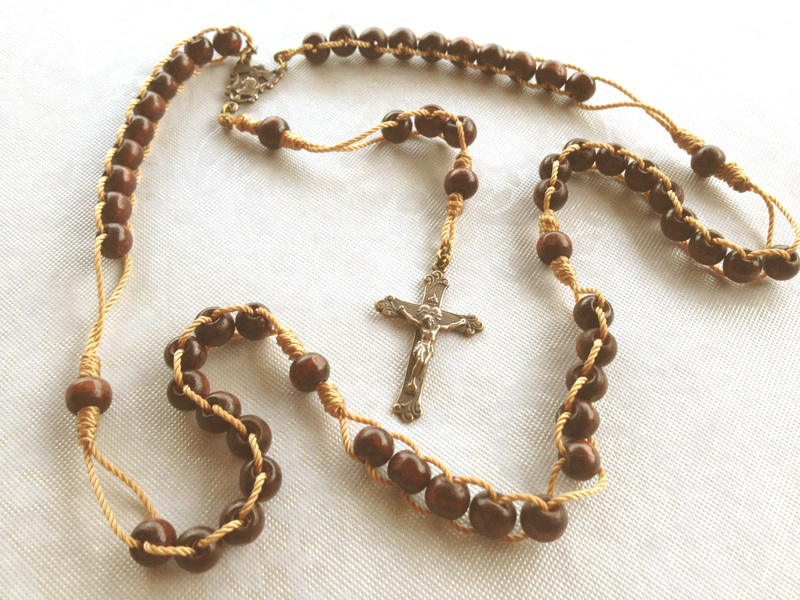 This style of Push Rosary was the first model I invented -- the Paters are fixed in place by knots in the cord. 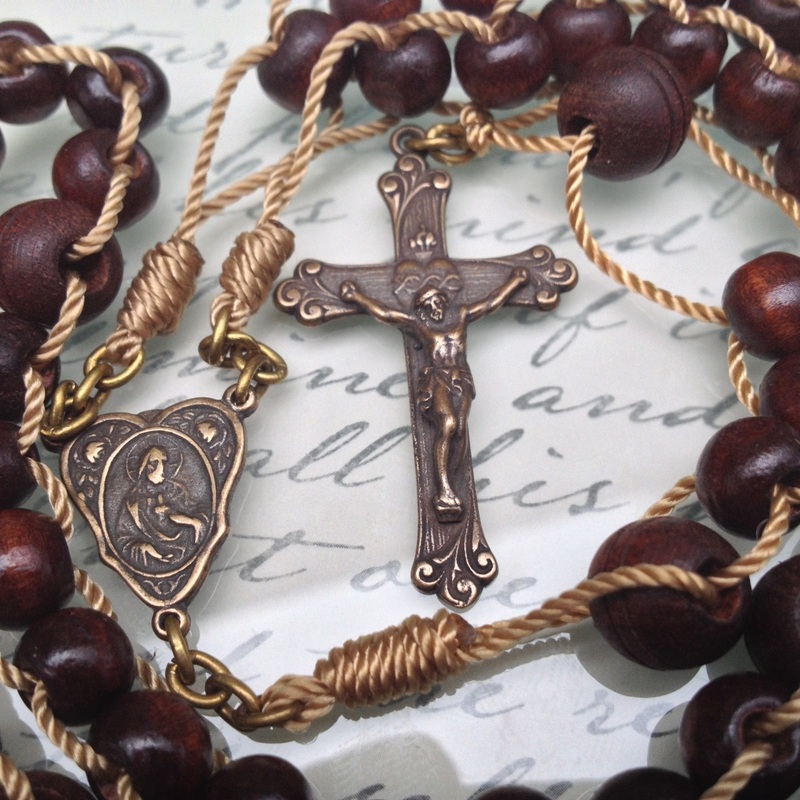 I have improved the construction with a few links of brass chain so that the rosary can move more fluidly at the crucifix and center junctions. I make these rosaries from strong heavy-gauge nylon cord, that holds the beads in place but allows them to move freely when pushed along by the thumb or finger. 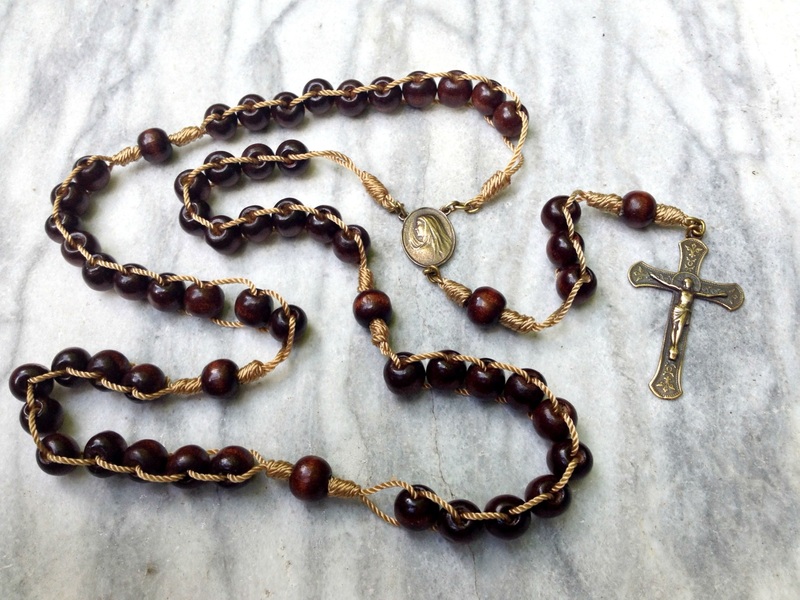 I have hand sanded each of the drill holes in the Littleleaf Boxwood beads so that the bead will slide smoothly, and not catch on, or fray, the cord. The Sacred Heart Crucifix and Center Piece are solid bronze antique reproductions. Push or Slide Rosaries are my own invention -- this is my second model which allows the Paters to slide as well. With only three knots, construction is much less time-consuming and so I can provide it at lower cost. 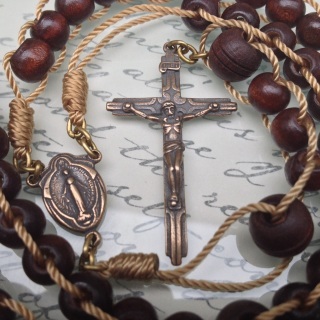 This rosary has a lovely rustic simplicity, made out of strong heavy-gauge nylon cord that holds the simple wooden beads in place but allows them to move freely when pushed along by the thumb or finger. 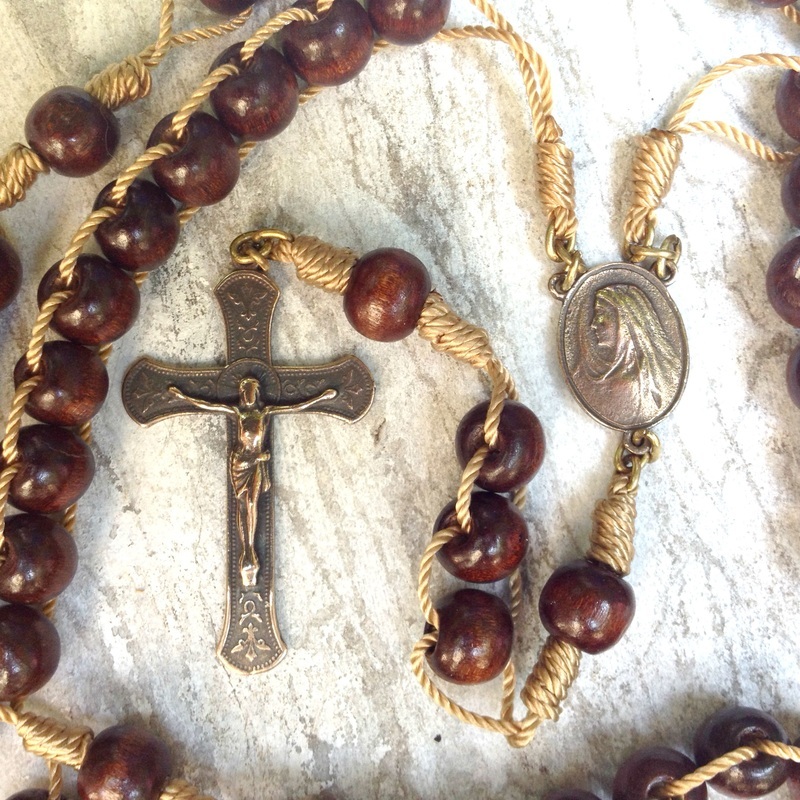 I have hand sanded each of the drill holes in the Littleleaf Boxwood beads so that the bead will slide smoothly, and not catch on, or fray, the cord. The crucifix and center are solid bronze antique reproductions. 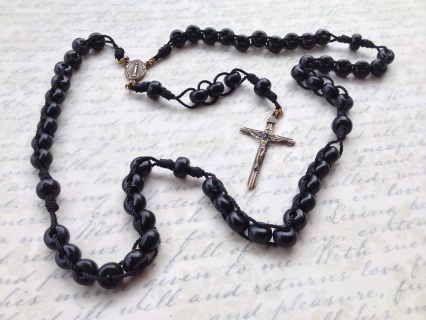 Keep one in the pocket of your jeans, with your hiking boots, or in your glove compartment. 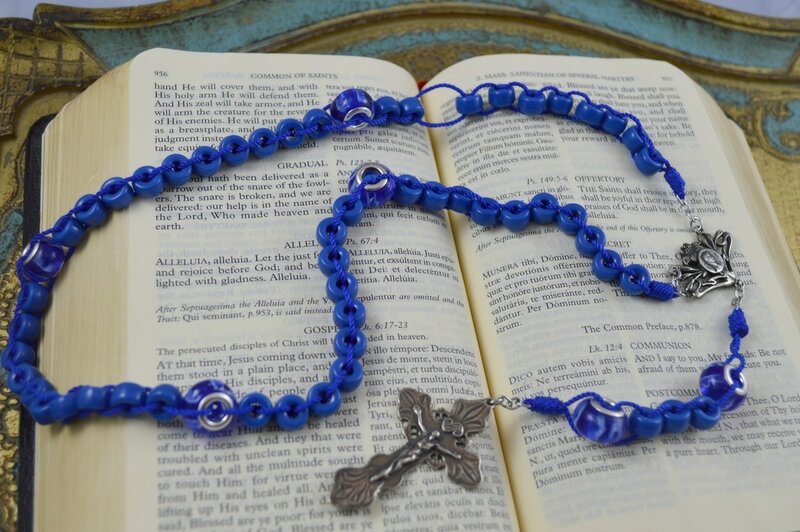 Chose a different Crucifixes and Center Piece Style below from one of three options. 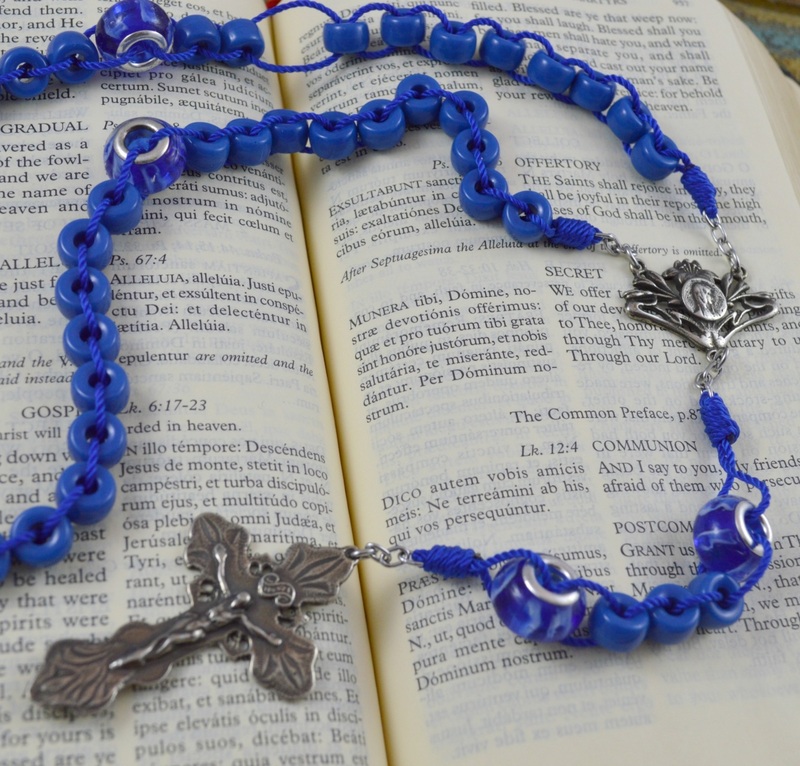 Push or Slide Rosaries are my own invention -- this is a version made with Czech glass beads which allows the Paters to slide as well. With only three knots, construction is much less time-consuming and so I can provide it at lower cost. 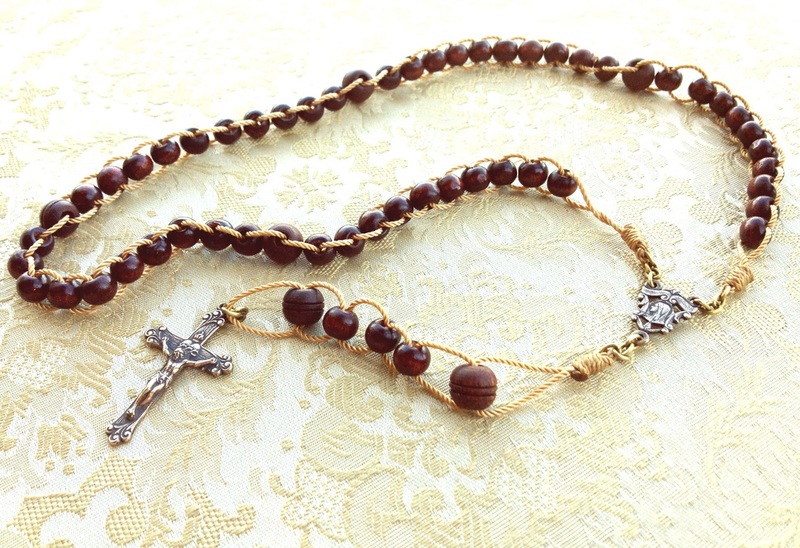 This rosary has a lovely rustic simplicity, made out of strong heavy-gauge nylon cord that holds the simple glass beads in place but allows them to move freely when pushed along by the thumb or finger. 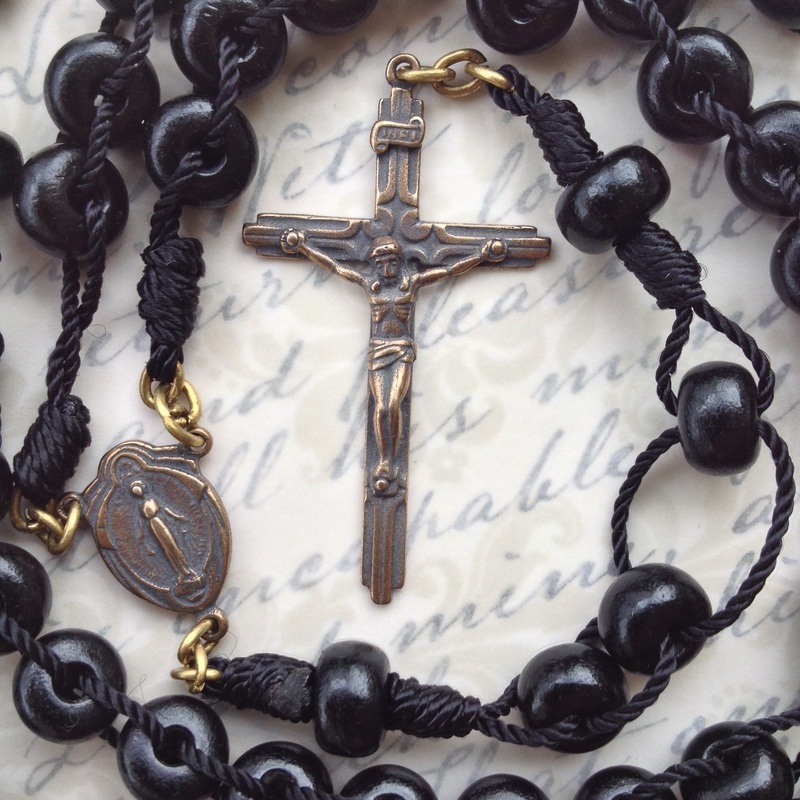 The crucifix and center are solid white bronze antique reproductions. Keep one in the pocket of your jeans, with your hiking boots, or in your glove compartment.